I’ve been obsessed with A Great Big World’s album When the Morning Comes, so it’s hard to pick just one song off the album. But the song that drew me to the album in the first place was ‘Won’t stop running’. No matter how much darkness we have to endure, no matter how many times we fall, no matter how tightly our hands are tied, keep going. There’s something better waiting right around the corner. Guy Winch’s ‘Why we all need to practice emotional first aid’ is most likely my favourite Ted Talk I’ve ever watched. Guy asks, why we treat physical health and pain differently to emotional health and pain? We need to start taking care of ourselves on the inside as much as on the outside. Loneliness, fear of failure, and loss, for example, are emotions we need to start acknowledging, tuning into, and doing something about. Let’s stop brushing our emotions off like they don’t or shouldn’t mean anything. Kelly Clarkson has a number of powerful anthems, but ‘People Like Us’ is perhaps one of her most relatable singles. We have all had those times of self-doubt after being kicked down by someone’s insensitivity. We’ve all had those moments of failure, when we wonder whether there is any point in trying anymore. We’ve all had those times of loneliness, where we feel as if nobody understands us and that we are left to fight our battles on our own. We’ve all had those moments of isolation, feeling different and unaccepted. We are not alone. People will always try to criticise, judge and bring others down for the things they cannot understand, for the things they are insecure about or fearful of. And worst of all, we begin to believe them, becoming our own worst enemies. But we cannot let those people rule our lives. This is the time for picking ourselves back up, the moment for learning from our experiences, and the time for ignoring the hate and skepticism. It is ok to be different. Never give up on what you believe in and what you want to achieve. We are always in control. Your opinion is as valuable as anybody else’s. Take your turn. There are so many of Tim McMorris’s songs that are soaked with optimism and inspiration: ‘Give Our Dreams Their Wings to Fly’, ‘Dream Again’, ‘Shape the World’ or ‘Music My Life’ and so on. 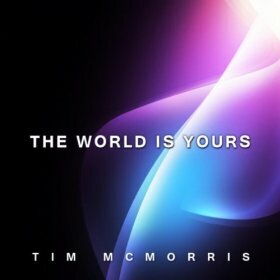 McMorris’s ‘The World Is Yours’ similarly urges us to live freely, to live without fear, to live to your expectations, to live being true to yourself, and to keep fighting, because the world is yours. 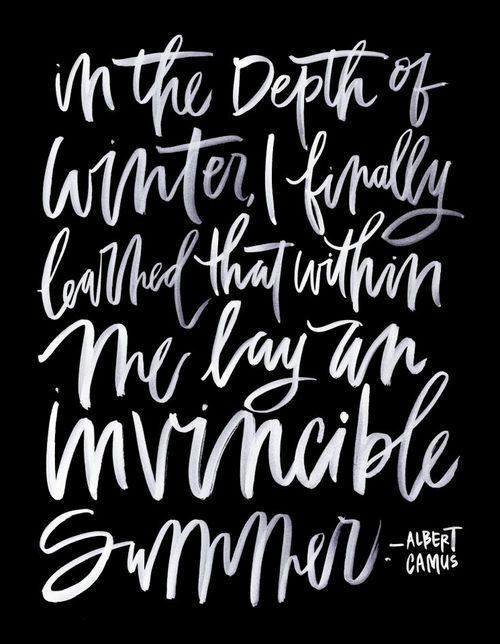 Take it and embrace it. I firmly believe that once we give everything we have to life and the world, life and the world will reward us by giving everything it has to offer. We need to follow our heart, not the crowd, unless the crowd is where our heart is. If we do not give up or back down, if we keep trying despite the odds and despite people who don’t believe in us, life will set us on the right path. Not everyone’s right path is the same. There is never a set path to success, accomplishment or fulfilment. They cannot be rushed. We may find ourselves waiting for a chance or waiting for a moment. They are full of mistakes, left or right hand turns and going back on ourselves. But if we don’t give up after all that, we are taking life into our own hands. We are weaving it and engraving it. And that is the best position we can ever be in. And all his music available on iTunes and Spotify!! 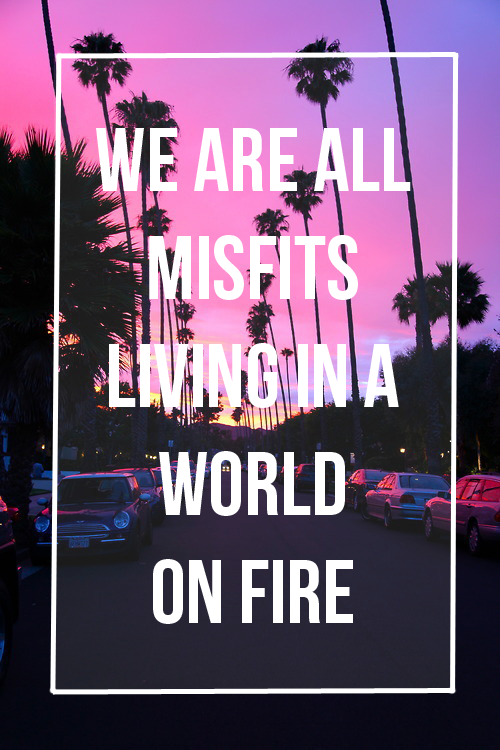 I think ‘Believer’ from American Authors’s album Oh, What A Life is one of my favourite feel-good summer songs. The song paints all the different faults we sometimes have when it comes to our lives: we’re fearful, we’re anxious, we’re shy, we hate change, we don’t want to move forward but we don’t like our present. And sometimes these flaws are hard for us to let go of because they are part of our everyday lives and part of how we conduct ourselves in the world. But the American Authors highlight that there is a choice and they illuminate these flaws, showing that we can be aware of them and reflect on them. We can take them or leave them. We can hold onto them or let them go. We can choose to grow or stay the same. We can be positive or we can swim in negativity. Whatever happens, things can get better and things will be ok. They can even be ok with your flaws. Jake Miller may not be everybody’s taste, but the reason why I listen to so many of his songs repeatedly are their messages. ‘Steven’ tells the story of a boy who is alone in the world: he’s bullied by his school friends, ignored by his mother, beaten by his stepfather, and set a bad example by his brother. He has no outlet and has nobody to talk to. This isn’t a story with a happy ending, and although I am a strong believer in positivity (and thats what I base my thoughts and messages on), I think it’s important to raise awareness for some of the darker things in life. The danger about bullying or treating someone badly is that you can never know what is going on in other parts of their life, you can never know how far your words and actions go, whether they only prick the heart or whether something new, something darker begins to grow inside them. They begin to believe what you say, they believe that they’re not worth anything. They feel like there is no way out. And I find it to be so tragic and so heartbreaking that a child or an adult would feel that the only solution to their problems is suicide. We need to be more aware of what we are putting out into the world and what we are feeding to other people. We need realise that our words and actions have consequences, some so drastic that I think some people believe them to be unimaginable. I think we have a responsibility to teach our younger generations and set an example: bullying is never ok, not at school, not in the workplace, not in the street, or within families. Bullying is never ok.
Koadline’s message in their song ‘One Day’ at first seemed pretty self-explanatory to me, but I found a number of different intepretations of the song. To me, the song is a reminder of something that we all already know. We all need reminding that there is only so much time, and in that time it is important to not give up on your own happiness and needs. 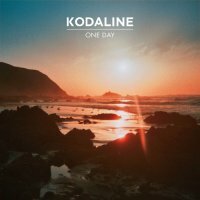 I think what Kodaline are particularly stressing is that there is not enough time in a lifetime to spend it by yourself. If you’re hurting, if you’re upset, if you’re feeling lonely, don’t hold onto those feelings and those memories or people that make you feel that way. Find someone to talk to who can lift you up or might not even be able to offer anything but a listening ear; not every battle has to be faced alone. People can understand what you are going through and what you are feeling if you let them in. Life passes you by, so don’t be wasting your time on your own.